I have had the privilege and honor of being a member of Lynette’s team(s) for many years. I have got to play with some of the most unique designs that have ever been on the market. With these designs and Lynette's encouragement, I know that my coloring and creativity has blossomed. It is with a saddened heart that we must say “Farewell to Sweet Pea Stamps,” but not to Lynette McAnsh! Lynette and I have nurtured a friendship through these years and I can proudly say that this strong relationship will last forever. I am planning on keeping it that way, Lynette. You will never see the last of me, I promise. Very soon Lynette will receive one of my art cards. The one below is one of my favorites. (Yes, Lynette, it’s going in the mail shortly.) This card has been designed around Elain Cox’s digital image "Button Mushroom Fairy." I fell in love with this little fairy the moment I saw her. 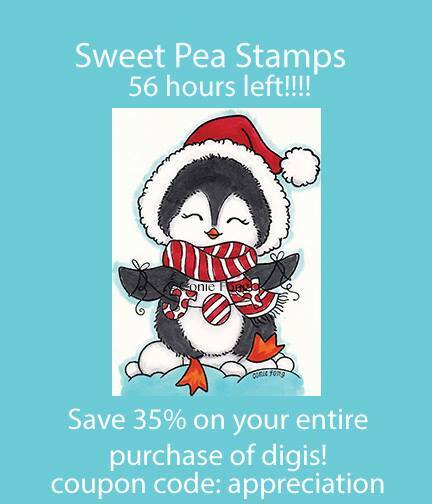 With the closing of Sweet Pea Stamps, Lynette has given you a "35% off coupon code" off all digital images. (Rubber stamps are no longer available.) This code ends tonight, November 25, 2015, at 11:59 p.m. Don’t waste your time!! If you have come from Kathi Rerek's blog, you are on the right track. Your next stop will be Christina Gudgeon's blog. I hope you have enjoyed the hop. 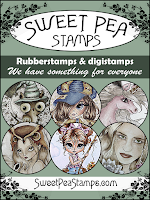 Everyone that leaves a comment will be placed in a random draw for a Sweet Pea Stamps card that I have made, plus a few other goodies not related to Sweet Pea Stamps. 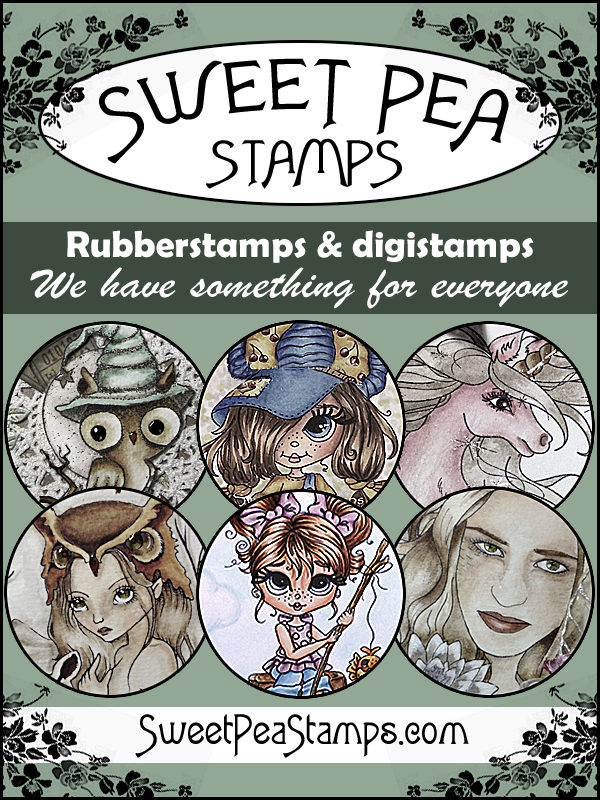 Thanks for stopping by and helping us bid Sweet Pea Stamps a fond farewell. I am going to miss Sweet Pea Stamps! If you are a friend of Lynette’s on Facebook you will be able to keep up with her shenanigans. Lynette has enough energy that puts us all to shame. Love you Lynette with all my heart! Gorgeous work Aletha, beautiful coloring as always!! I'm sure Lynette will love your beautiful special creation!! Gorgeous card and I am sure Lynette will appreciate it as much as you did doing it for her. I am enjoying the hop and beeing a stop on the way myself, but sad to see a wonderful shoppe come to a close.